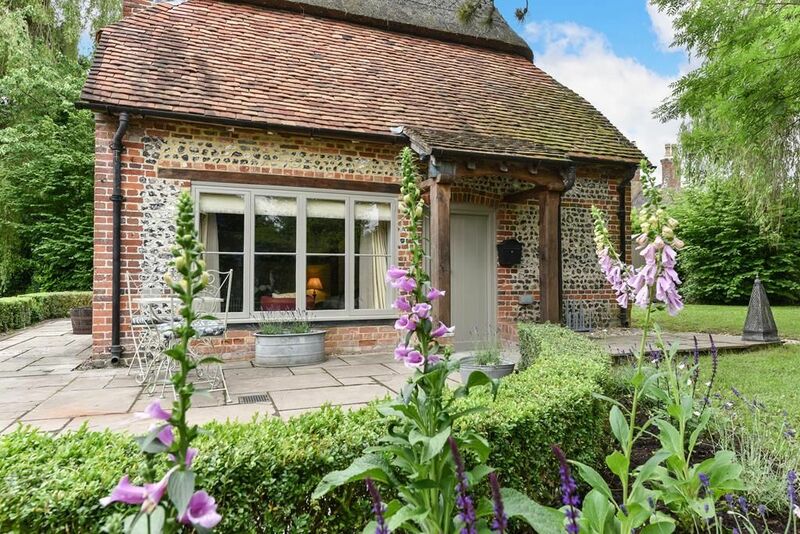 A true &lsquo;Chocolate Box' cottage with low slung thatched roof over the brick and flint walls of this charming and sympathetically restored cottage in a pretty Hampshire village. With 2 beautiful bedrooms and a comfortable and social open plan living space. Relax on the sumptuous sofa in front of the log stove or rustle up a home cooked meal in the luxuriously hand crafted kitchen. Then pull up chair at the dining table, pour a drink, relax and catch up after the days activities. The pretty cottage garden and terrace offer the perfect spot to enjoy &lsquo;al fresco' dining on a warm summer evening, or simply enjoy the peace and quiet of this tranquil setting. When the day is done, retire to the stylish bedrooms (mind your head - this is a character cottage) and wake up feeling relaxed to the sounds of the countryside! Cheriton is a pretty Hampshire village with a great traditional village pub, &lsquo;The Flower Pots' famous for brewing its own award winning beer on site. The pub is a short stroll away and well worth a visit during your stay. Free access to the village's tennis club is included too - so pack some racquets for the courts. A little under 3 miles to the North you will find the pretty Georgian market town of Alresford, voted Country Life's 'Favourite Market Town'. This is a must visit, with such a wide range of independent shops, pubs and eateries we are sure you will want to return! The historic cathedral city of Winchester just 7 miles away is guaranteed to impress with a huge range of independent shops, bustling weekly markets, superb restaurants including the recently opened &lsquo;The Ivy' and of course the impressive Cathedral and grounds. Step back in time and enjoy a gentile trip on the heritage steam train along The Watercress Line to Alton or Alresford and walk &lsquo;Jane Austen's Trail' to her house in Chawton, now a small independent museum.